Having a messy car interior and planning to invest in high quality and convenient vacuum for your beloved vehicle? One of the best tools for the job is a cordless handheld vacuum cleaner. Sure you can use a professional car cleaning service, but the fact is most of the car owners prefer to clean their own vehicles themselves using a car vacuum cleaner. This brand new portable car vacuum is portable, convenient, and powerful enough to clean thoroughly the interior of a vehicle. It will get the job done every time you use it. You will love the latest technology used here. A high-power turbine blades with the maximum suction of about 5000Pa and speed per minute is up to 32000r, making this one of the best car vacuum on the market. That’s not all! 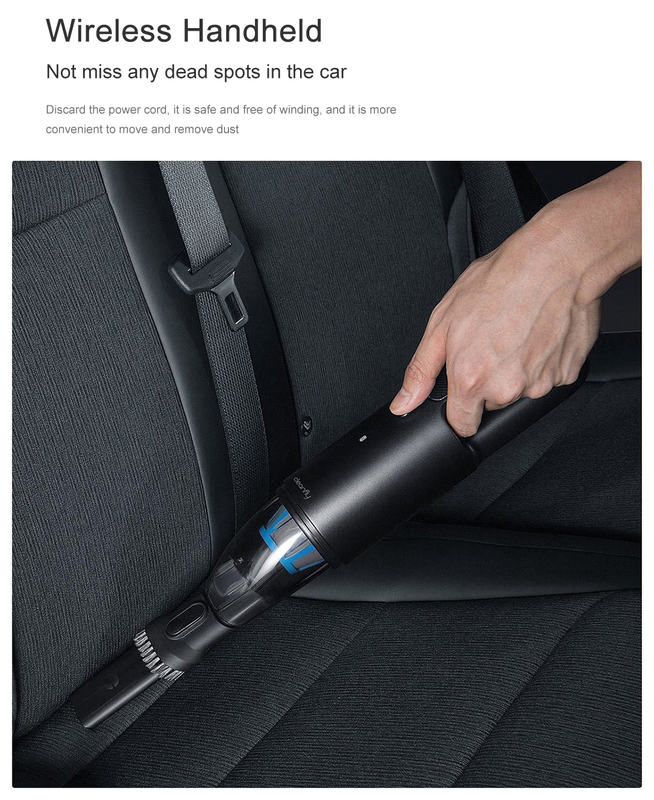 This car vacuum includes a brush nozzle, a car charger and a HEPA filter screen.